While many writers enter a new project by addressing its individual parts consecutively, I tend to begin by considering how it parallels other work I have undertaken. That is why my discussion of business plans and grant proposals is offered in a single page on my website. Likewise, I view preparing for both journalistic and oral history interviews as generally the same. 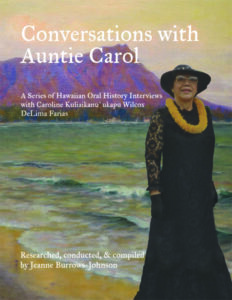 Before examining specific aspects of preparing for an interview, I should clarify that there are limits to thhttps://www.blog.jeanneburrows-johnson.com/2015/06/interview-oral-history-projects-1/is simplistic summation, for the research required for anything dealing with an historical topic is usually greater than that for a biographical feature in a newspaper or magazine. However, in both instances, you need to learn as much as you can about your subject. For while time or resources may preclude your conducting in-depth research, there are two essential reasons for doing as much as you can. The most obvious one is to verify facts that have purported to make the man or woman sufficiently noteworthy for you to undertake your project. This fact checking ensures that even if the subject’s memory of specific elements in their personal or professional history is flawed, your reporting will be accurate. The second reason to perform research is to find commonalities to help you establish an effective rapport with your interviewee. This can be especially important if your interview is being done by telephone rather than in person. Even with today’s connectivity via computer camera, the nuances of a personal meeting can be lost in electronic communication: The brightness of your smile upon entering the presence of your interviewee; the warmth of a firm but nonthreatening handshake; the liveliness of your natural voice; the fragrance of memorabilia assembled for your meeting; the shared experience of a flavorful cup of tea or coffee. Honing your skills in the art of communication is vital in conducting any kind of interview. In the end, the results of failing to prepare properly for any interview are the same: Poor quality dialogue between you and your interviewee AND poor quality of your authorship. Good writing reflects a combination of science and art. Empowering your words means investing the same amount of energy in your mental preparation as in performing your research, organizing the results, and outlining the questions you will ask during the interview. What do I mean by encouraging your mental preparation? There is little you can do to be certain of the attitude of your subject. But, despite anything that may occur prior to the interview, you can adjust your own thinking to be as positive as possible. In short, you need to be artful in your interaction with your interviewee in order to have a winning result for both of you. That last note is very important, so allow me to repeat it: In order for your project to be a true success, both you and your interviewee must feel a sense of accomplishment when the conversation ends. The interviewer is supposed to be in the driver’s seat. To reach your goal of creating an interaction that will result in mutual satisfaction, you have to anticipate myriad issues that might arise in the interview. I will admit that once you have completed your transcription, there may be points on which you and the subject will disagree…usually because the interviewee has doubts about the material they have disclosed, or they have misgivings about the manner in which they answered your questions. In these situations, there is little that you can do about any disappointments your subject may feel—although you can offer to interview them again, or to make note of their after-thoughts in a way that honors both your work and their concerns. However, as long as you have a signed informed consent and legal release form granting you use of the interview and its contents, you should be safe from future legal issues. If you are a professional writer, you may have encountered circumstances in which you have turned to an attorney for counsel. For as laws vary from state to state, and accepted interview practices may change over time, you must be careful to research the legal issues involved in the use of information obtained in interviews you conduct. Also, you may wish to consider taking courses in journalism and oral history…at least have access to a respected journalist or historian who can advise you about interview standards. Should you find the thought of embarking on a round of higher education daunting, please know that you should be able to find a school that will allow you to audit a course. This means that unlike a student taking the course for college credit, you should not have to take exams or write course papers. However, as a sign of respect, even if the professor’s permission is not required, I recommend that you speak to them in advance of registering to audit their course[s]. How one handles the discomfort of an interviewee can be a difficult issue for anyone. 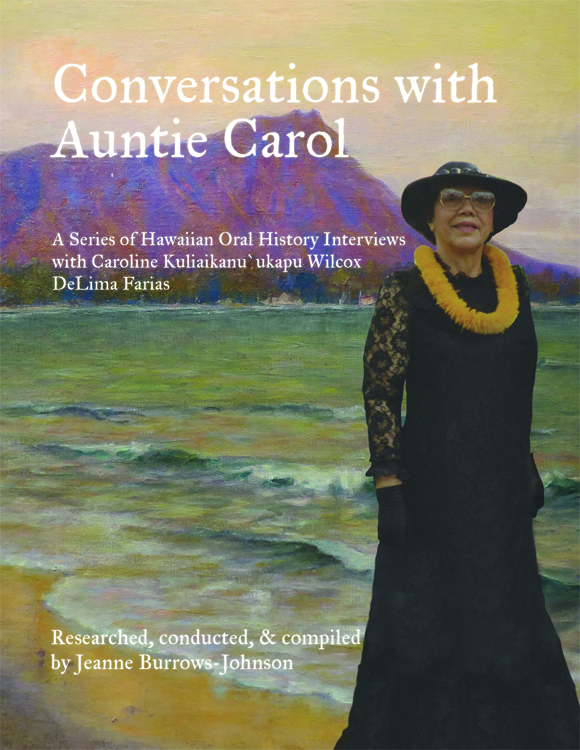 Following an interview with an elderly woman in Hawai`i, I was careful to recreate the full essence of our conversation. I did this by indicating the subject’s cadence and pronunciation in the transcription. At the time we were contemplating writing a partial family history, for which little of our dialogue would have appeared in the prose I would have composed for the book. Unfortunately, that fact did not mitigate her displeasure at what she perceived as flaws in her use of the English language. In another instance, during research for a master’s degree in modern American history, I conducted an oral history interview with a man who participated in the Allied Occupation of Japan following World War II. As I had been trained in oral history courses, I had performed considerable research in advance. The interviewee and I were the ideal combination of being opposite in gender and age, and we did strike a good rapport at the onset of our meeting. In addition to this interview, I conducted subsequent interviews with former colleagues of the man, which also unfolded in equally harmonious ways. Unfortunately, when I interviewed his wife after his death, I learned that the work of my subject had been undermined by the rise of McCarthyism and the prolonged witch hunt for anyone suspected of being a communist—or even, as in this case, being a supporter of freedom of speech in open dialogues between persons of varied political leanings. I offer these examples of challenges faced by the interviewer to encourage you to conduct in-depth research prior to your interview AND to suggest that despite whatever due diligence you have performed, something unforeseen can arise. I’m glad to say that in the aftermath of both of these challenges, I was able to retain positive relationships with my interviewees, although the projects did not come to fruition as I had planned. In the long run, I recognized there is little I could have handled differently in the interview process itself, and I have certainly benefited from the experiences I had as a young writer. This brings me to one of the most important points I wish to make on this topic: All of your work as a researcher and writer adds to your credibility as an author. And, without a few challenges along your path, you will lack the breadth of life experience that brings depth to the verbiage you shape into material that both a targeted and general readership will find of interest.